James Goldschmidt is an appellate litigator and a member of the firm’s Litigation & Dispute Resolution Practice Group. 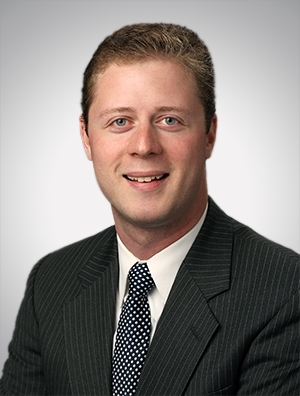 His practice focuses on appellate and regulatory matters, with active involvement in the related areas of energy law, environmental litigation, and insurance coverage disputes. James serves clients by crafting winning legal briefs and arguments in the context of civil and regulatory appeals. He has briefed and argued cases before the Wisconsin Supreme Court and the Seventh Circuit Court of Appeals, and his appellate practice experience spans some two dozen fully briefed appeals in Wisconsin, Illinois, Florida, and the Seventh, Ninth, and Federal Circuits. Convinced Wisconsin Court of Appeals to reverse administrative ruling by trial court in connection with public utility rates. Protected favorable ruling for public utility against municipality on review in Wisconsin Court of Appeals. Defended trial court’s denial of default judgment and dismissal of business tort action on review in Wisconsin Court of Appeals. Successfully opposed petition for review in Wisconsin Supreme Court following favorable defense verdict and appellate ruling for residential care facility. Successfully opposed petition for interlocutory review by Wisconsin Court of Appeals of trial court’s denial of motion to dismiss equitable claims. James' appellate experience also includes amicus briefing in cases of statewide interest, with recent amicus clients including the Bond Dealers of America (securities litigation), the Wisconsin Utilities Association (transmission easement dispute), and the Metropolitan Milwaukee Association of Commerce (insurance coverage dispute). Defended favorable PSCW ruling for public utility client in regulatory appeal relating to cost allocation for fuel conversion at cogeneration plant. Developed testimony and crafted briefing in support of merger between two multi-state investor-owned utilities. Secured recovery of public utility’s costs in spent nuclear fuel litigation. Investigated warranty claims relating to defects at generating station. In addition, James has a growing practice in the area of CERCLA Superfund litigation, representing manufacturers and successor entities identified as potentially responsible parties (PRPs) in connection with historically contaminated sites. Prior to joining Quarles & Brady, James volunteered for the Legal Aid Society of Milwaukee in the area of consumer credit transactions.